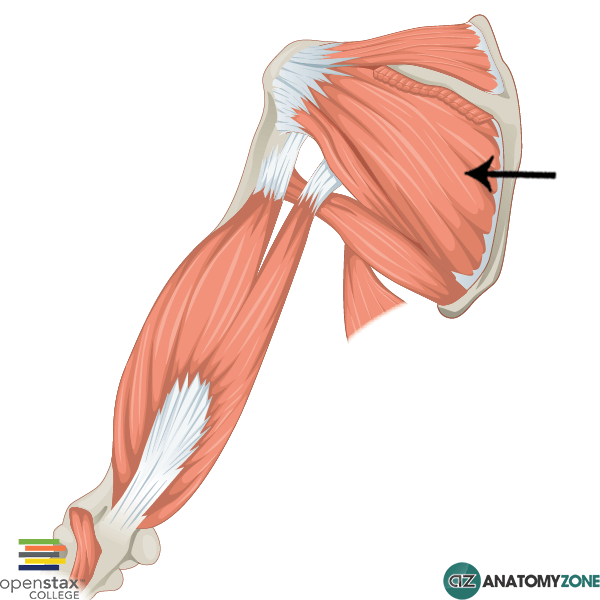 The structure indicated is the infraspinatus muscle of the rotator cuff. Action: Lateral (external) rotation of the humerus. Assists in stabilisation of the glenohumeral joint.